Very excited about yesterday’s news that Kate Bush is going to perform live (I don’t think you can call a 15-night residency a “tour”) for the first time in 35 years. Having only toured once, back in 1979, this is huge news, and something that many people (most?) thought they’d never see. And in the world of 24-news, pre-announcements of pre-announcements, the fact that this came totally out of the blue, not an inkling anywhere, taking everybody by surprise, is wonderful. The anticipation is at fever pitch already, goodness knows what it’s going to be like by August (and David Hepworth hasn’t written a good little piece about that here). Bush has always been something of an enigma, drawing an intense and loyal following since she so dramatically burst onto the pop scene in 1978 with the totally unique Wuthering Heights. But her withdrawal from live performance, the uncompromising and unusual nature and subject of her songs, her perfectionist tendancies and the increasing gap between releasese (12 years betwen The Red Shoes and it’s follow-up, Aerial) have all contributed to the sense of mystery and intensity, sometimes obsessive, that surrounds her. Oh, being a little (to put it mildly!) easy on the eye might have helped her too! Running Up That Hill was the lead single from her commercial peak, the Hounds of Love. I first remember hearing / seeing this performed on the Wogan Show (see clip). The song was a real return to commercial form for Kate after her previous album, The Dreaming, which was led by the totally bonkers Sat In Your Lap (I remember hearing that on Radio 1’s Roundtable review programme and the whole panel being speechless!). Although it can hardly be said that this is a straightforward pop song. Underpinned throughout by a martial drum sound, overlaid with Fairlight-sourced synth sounds, it is a song that builds and builds and builds, hypnotic, drawing you into its world through sheer persistance. After Wuthering Heights, it’s probably her most well-known track, and has resulted in a number of successful cover versions from the likes of Placebo. So an obvious choice for ukulele then! Well maybe not, but it was the rhythms of the song that drew me to it, and I thought that maybe it might work. I think it does, although it takes a little work to get the rhythms right. I’ve taken the song down a semitone from the original, partly to make the chords easier, and partly to make it easier for me to sing! (if you want the original key as sheet music try here or here). I’ve also included some tab for the main riff (originally played on synth) that goes over the introduction and between the chorus and the verses (indicated on the sheet!). That riffs ends up being a bit high because it goes below bottom-end of the uke’s range, but it still sounds nice. 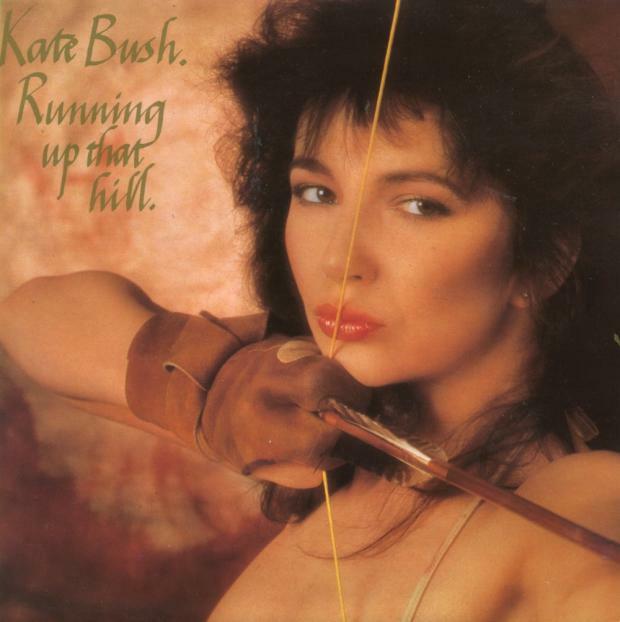 Categories: Pop, Rock | Tags: 1980s, 1985, Kate Bush, Pop, Rock, ukulele | Permalink.